Hubby bought this strange vege from Tesco when they are out of supplies. He brought this home and I have no clue what this vege are and how to cook. I stir fried and it taste bit bitter, with strong leafy taste. 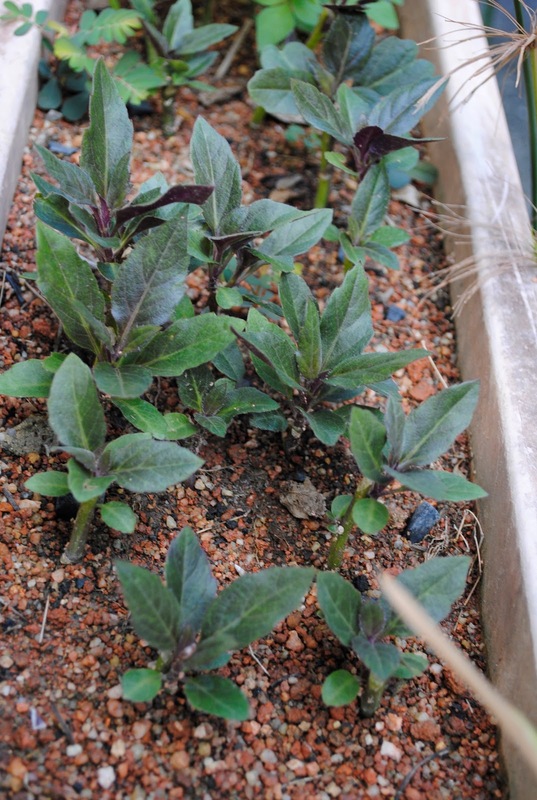 I always thought this is Chinese vege, but apparently after make some research I found out the real name are Okinawa Spinach. 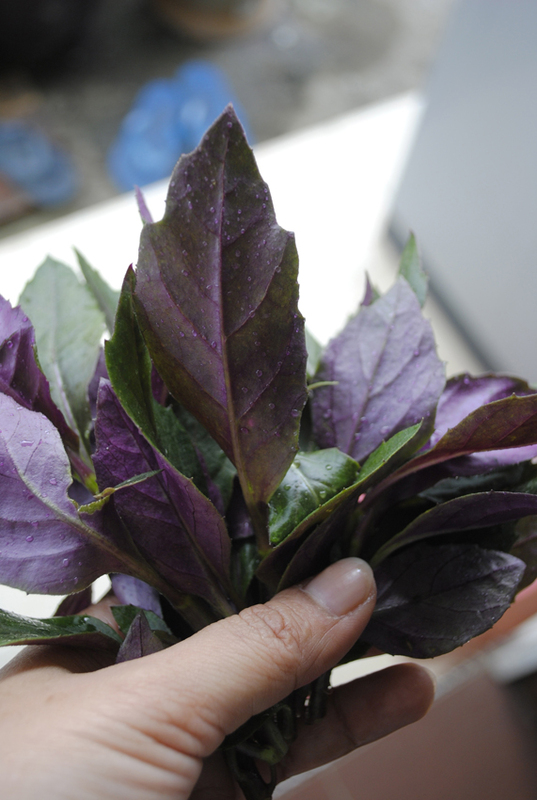 It has beautiful purple shade on back of leaf and be able to lower the cholesterol level. The leaves of both can be eaten raw or cooked. It also can be added into salad. I tried to plant the stalk and eventually it grow happily. Just imagine I can just pluck and added on into my menu at anytime. Today I had plucked some leaf and added on in my mixed vege. It kind of blend well and it tasted better than just cook it by itself.